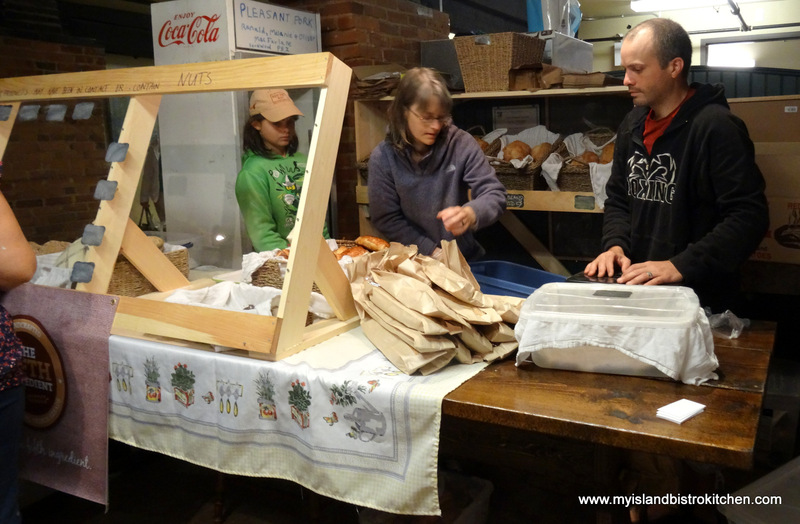 Visit their Saturday morning booth at the Summerside Farmers’ Market and watch as their regular customers flock to the booth to pick up their favourite breads. It’s best to get to the market early because the couple say their products sell out quickly. 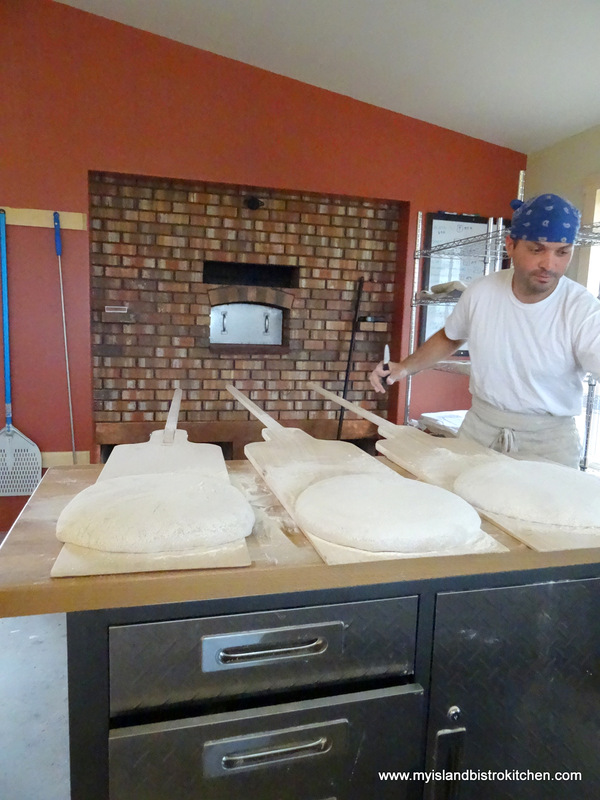 The bakery is located at 114 Wharf Road, off Route 10, in Cape Traverse, PEI. 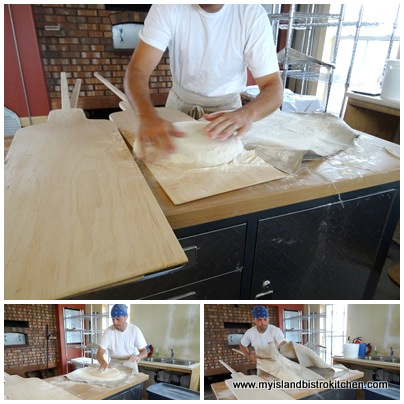 For more information and to inquire about times the bakery is open and when pizzas will be in the oven, call 902-729-2059 or join The Fifth Ingredient’s Facebook page. I took a loaf of the round Island Red bread from The Fifth Ingredient Bakery, and turned it into a sandwich loaf. There is no specific recipe for this sandwich loaf but you will need olive oil, tomato pesto, about 60g each of two different kinds of your favorite cold cuts (I used turkey and Black Forest ham), lettuce, a couple of kinds of cheese slices (I used Havarti and Provolone), mustard, and a couple of your favorite sandwich vegetables (I used tomato and cucumber). Begin by cutting a thin slice off the top of the loaf. 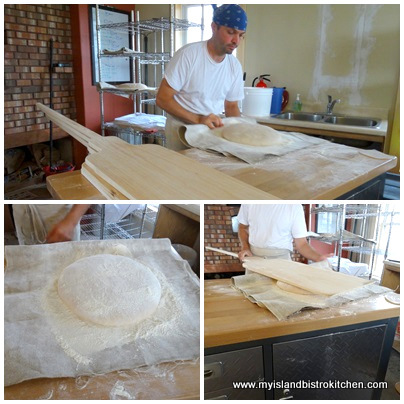 Then remove most of the bread leaving about 3/4″ to 1″ around the sides and on the bottom. Reserve the removed bread for other uses such as bread crumbs for poultry stuffing. With a soft, pliable brush, apply a thin coating of olive oil (I used Liquid Gold’s Herbes de Provence) over entire inside shell of the loaf. Follow with a brushed-on light layer of tomato pesto. Add the layer of shaved turkey followed by a layer of lettuce and a slice of cheese. Next, add the layer of ham, mustard to taste, and a layer of sliced tomatoes. Finally, add the second cheese slice, sliced cucumber, and another layer of lettuce. Brush olive oil over the little bread cover that had earlier been removed from the loaf and re-position it on the loaf. Wrap loaf as tightly as possible in plastic wrap and place in refrigerator for at least two hours before cutting into four wedges and serving. Plate and serve with your favorite salad and/or potato chips.